brightness_1 Does your home have an old stone wall foundation or crawlspace? brightness_1 Does your home smell musty or moldy? brightness_1 Do you have a rodent infestation in your home and cannot locate the source of entry? brightness_1 Are you looking to sell your home but know these issues will impact any potential sale? brightness_1 Are you in love with your home, but tired of dealing with these issues year after year? 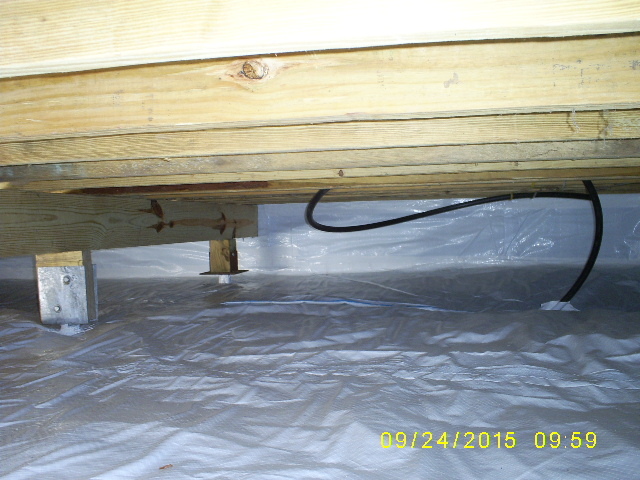 Crawlspaces by Radford is the solution to your crawlspace and basement needs! 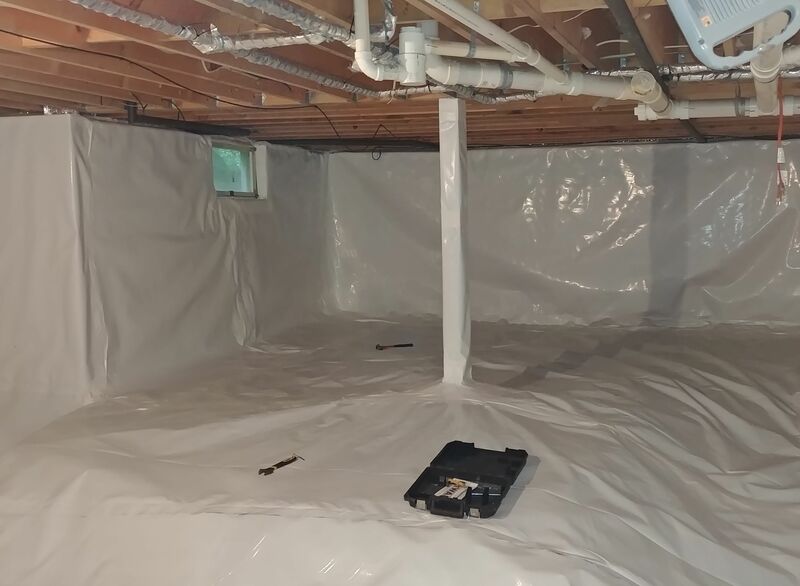 We transform your basement or crawlspace into a dry, fresh, and energy-efficient space by installing a state-of-the-art ENCAPSULATION AND WATER CONTROL system. 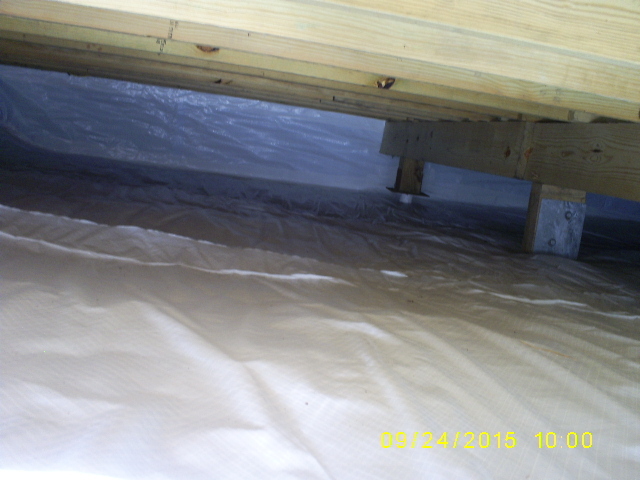 This system is specifically engineered to prevent moisture, mold, and other outside sources of bacteria. 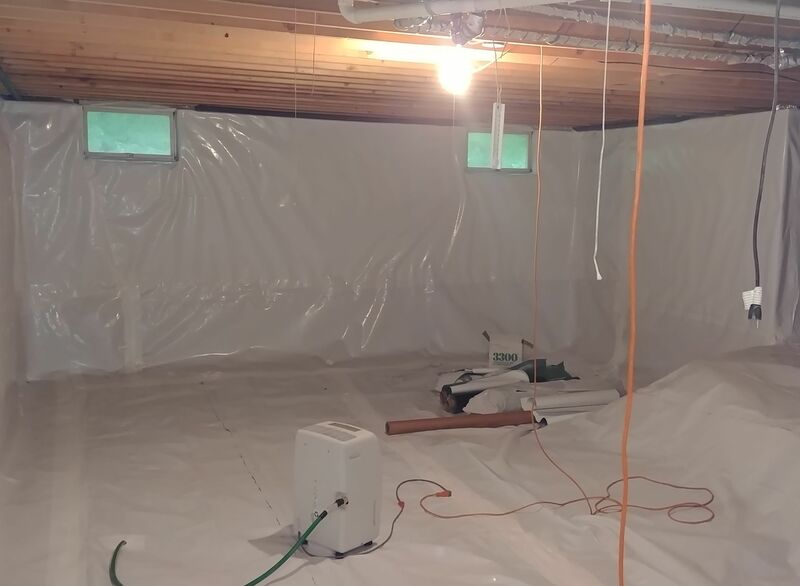 We provide a controlled atmosphere for your basement or crawlspace by installing cutting-edge dehumidifiers, which effectively eliminate and prevent musty odors and moisture by filtering and drying the air. 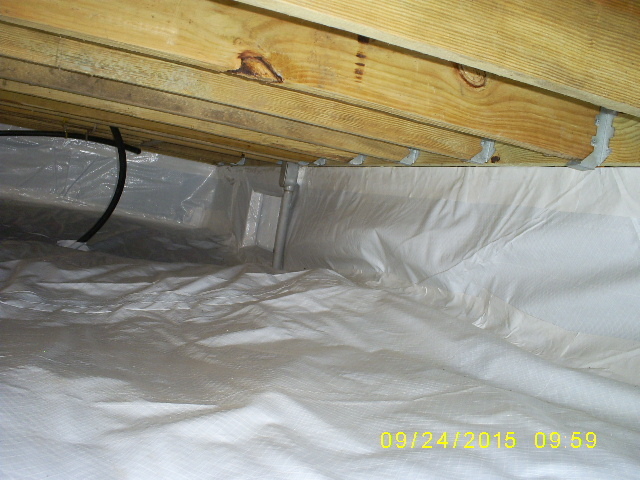 If needed, we will also install sump pumps to take care of any excessive amounts of moisture. This multi-faceted approach has proven to be extremely effective. Our Service Area Includes But Is Not Limited To: Elmira/Corning, Finger Lakes, Horseheads, Ithaca, Twin Tiers, Upstate New York, And Beyond!! brightness_1 Make your home healthier and safer. brightness_1 Eliminate the need for products that mask odors. brightness_1 Improve the air quality in your home. brightness_1 Increase the value of your home. brightness_1 Increase the resale value of your home. brightness_1 Provide a usable storage space. brightness_1 Finally give you peace of mind. 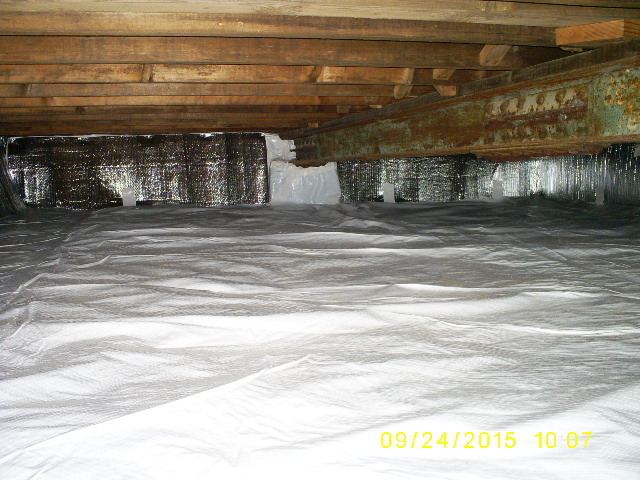 50% of the air that you breathe on the first floor of your home comes from your Crawlspace and/or Basement due to the Stack Effect. 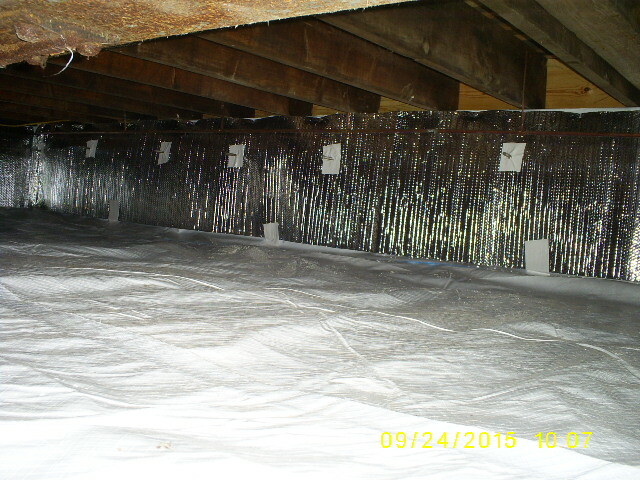 This crawlspace was not properly sealed, so the atmosphere is not controlled. 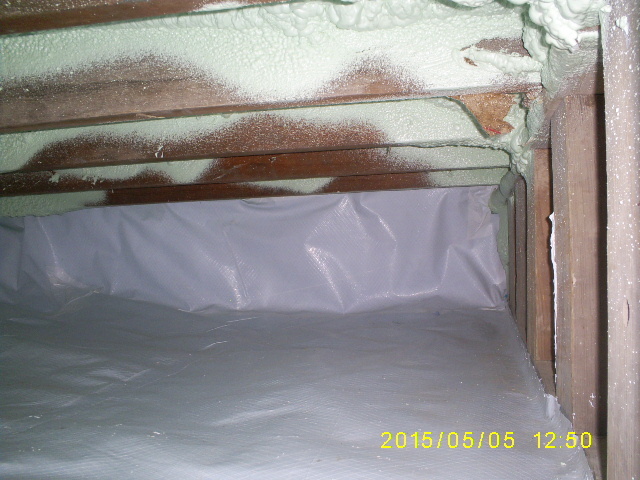 Moisture, mold, and poorly-installed insulation are just some of the problems in this space. 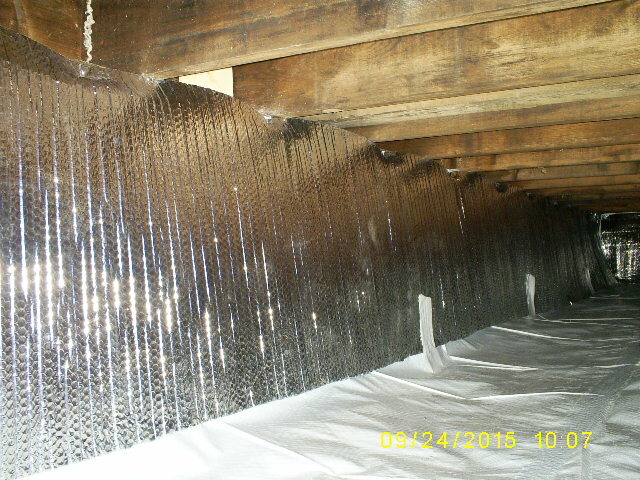 This encapsulation keeps the crawlspace protected and separated from any outdoor conditions. This keeps the space clean, fresh and dry, year-round. 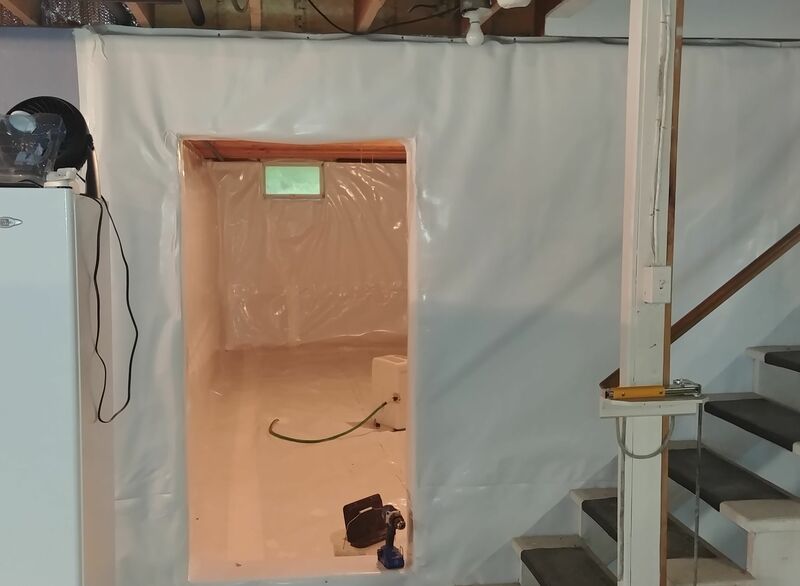 Handling your basement or crawlspace with the same care and priority as any other room in your home is the safest, most cost-effective solution to improving the air quality in your home. Keep all the elements outside, where they belong, by having us install one of our systems in your home today!